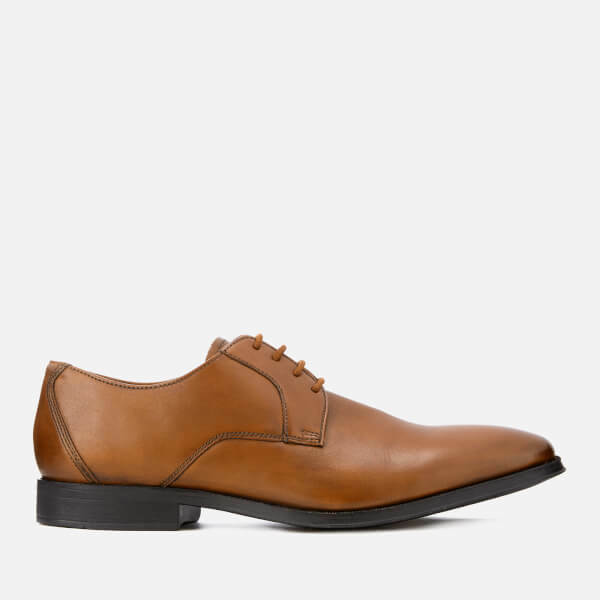 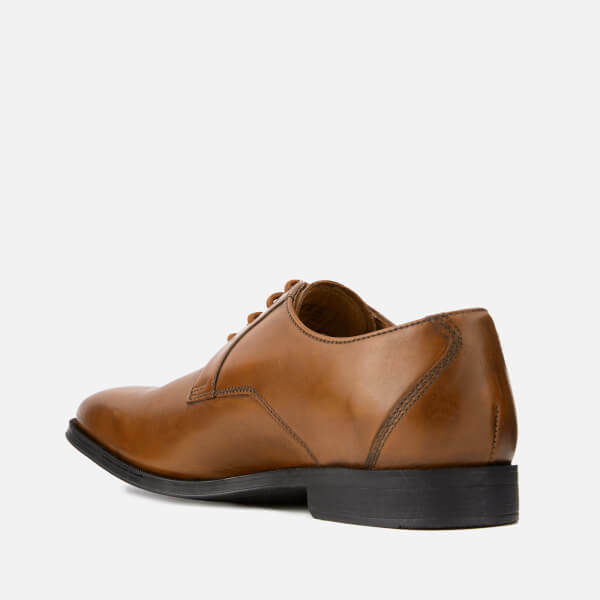 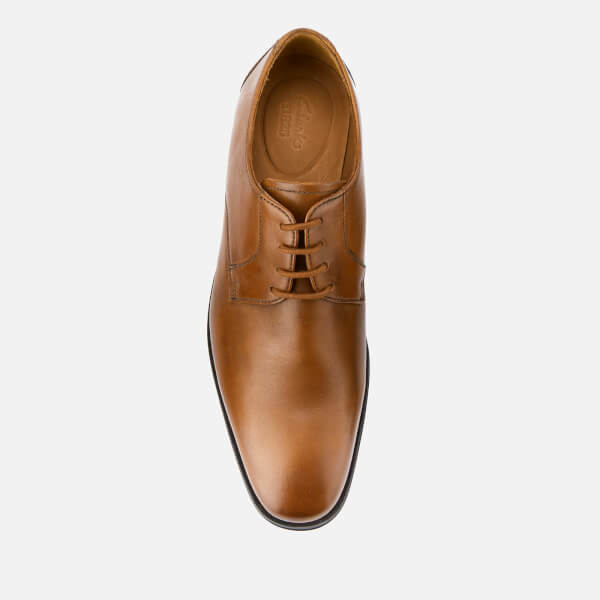 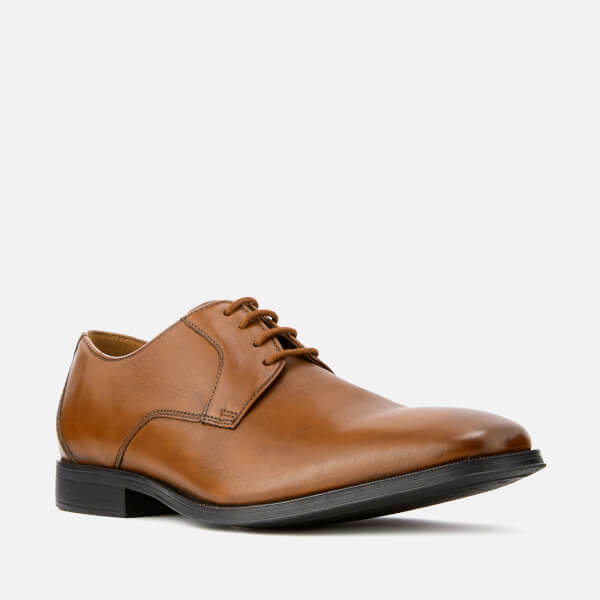 Men’s tan leather Derby shoes from Clarks. 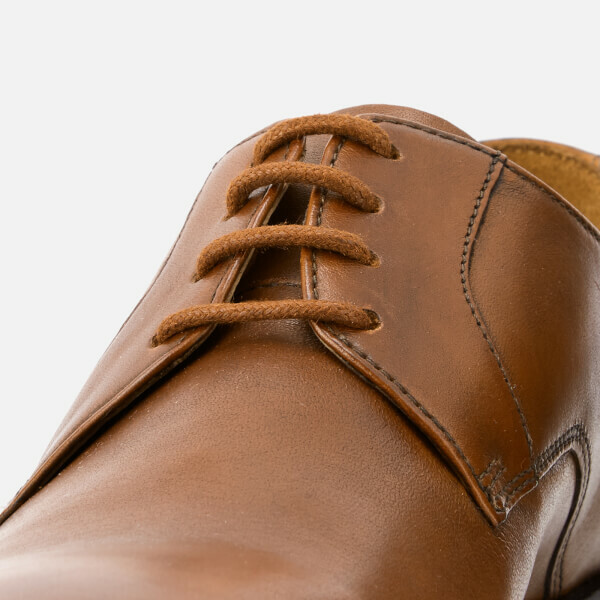 Crafted from full grain leather, the ‘Gilman’ shoes feature a four-eyelet lace fastening, tonal topstitching and a rubber outsole with a small heel for increased durability and traction. 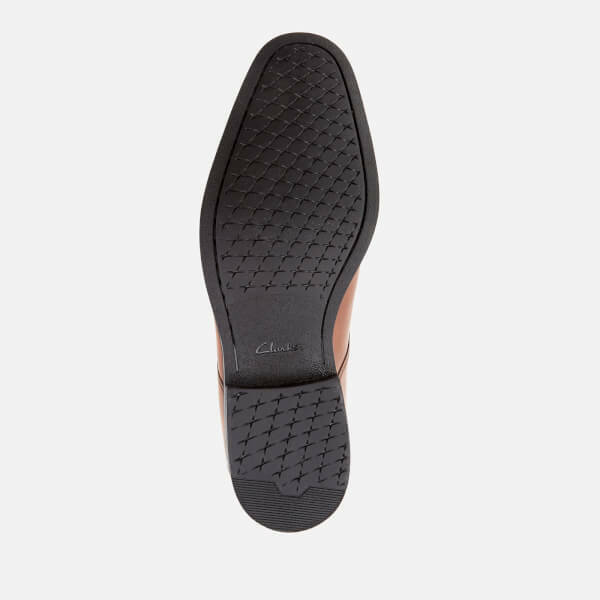 Complete with a leather sock liner and a Cushion Plus™ footbed that provides cushioning and stability for all day comfort.